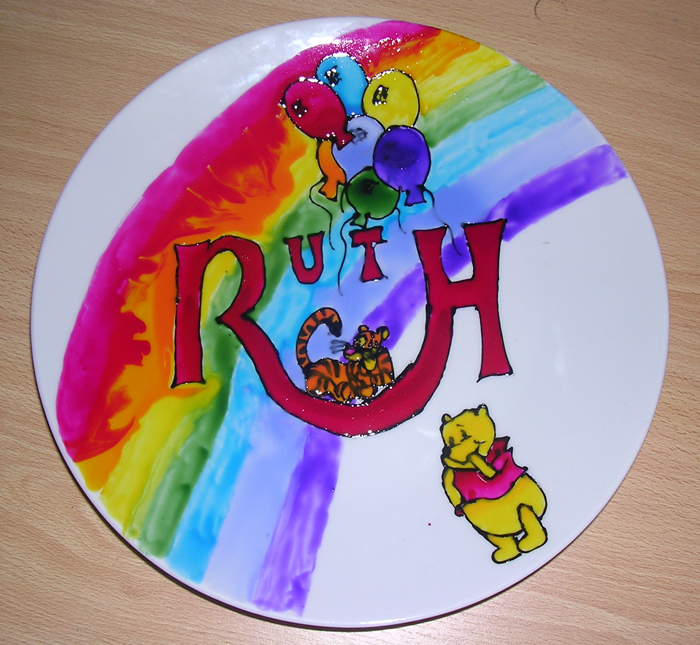 I started glass painting when I was about 12, on a family arts week during the summer holidays, and have carried on ever since, my skills gradually improving over time. Designs are all unique, and personalised individually. Designs might include name-based designs, celtic patterns, stained glass effect designs and many other ideas. Send me your choice of item and design ideas, and I will do my best to match what you are looking for. Ceramics seemed a natural progression from glass, and I began working with ceramic paints about 5 years ago. Again, the album linked below shows just a small sample of items I have produced. Any other ceramic item that can be found in plain white. Designs are, as above, unique and individually personalised to fit your requirements. The art is limited only by the available base items. Send me your choice of item and design ideas, and I will do my best to match what you are looking for. All prices are individually quoted, depending on the item and the complexity of the design. I aim to charge approximately £5 per hour's work, plus the cost of the materials. If you would like something other than that listed above, please email me your choice of item and design ideas, and I will do my best to match what you are looking for. I can only ship beyond the UK if the payment can be sent in GBP.